When California Governor, Jerry Brown, signed SB270 into law this past September, he changed the future of the Golden State and he changed the state of the environment for the better. The ban takes effect at large stores in July 2015 and rolls out to smaller stores in 2016. SB270 prohibits grocery stores, pharmacies, convenience stores and liquor stores from providing disposable plastic bags, requiring them to charge at least 10 cents for paper, compostable or reusable plastic bags. 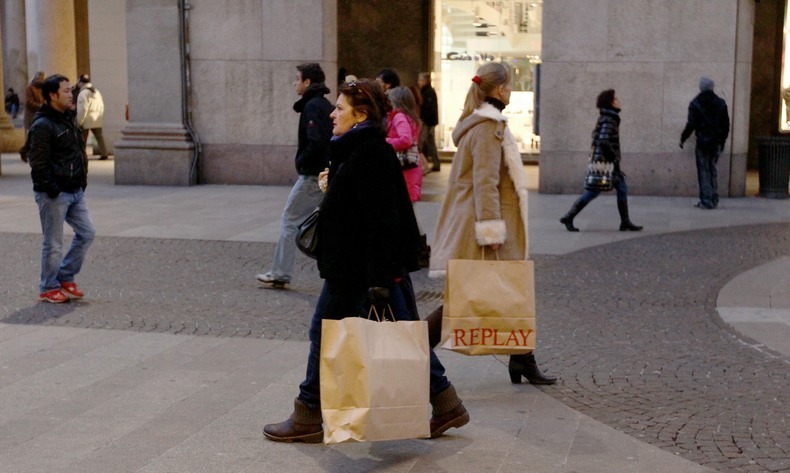 Restaurants, clothing stores and non-food retailers are not covered by the bag ban. Plastic bags used in grocery stores for produce and meat are not covered by the law either. 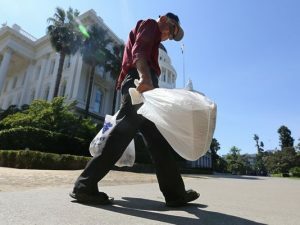 Laws that were passed prior to the state-wide law will be honored, so for example San Francisco has a ban that prohibits single-use plastic bags at restaurants, while South Pasadena has a law that bans disposable plastic bags at farmer’s markets and Greenfield’s ban allows retailers to charge as much as 25 cents per paper bag and SB270 will not change these local ordinances when it goes into effect. The American Progressive Bag Alliance (APBA), a coalition of plastic bag manufacturers, has indicated they will seek a voter referendum to overturn the single-use bag ban. The group has until December 29, 2014 to gather more than 500,000 valid signatures in order to get a referendum on the November 2016 ballot. The American Progressive Bag Alliance has acknowledged that they are working with professional signature gatherers in order to reach their 500,000 signature goal and they have gone on the record saying they will make sure voters have a say before the law takes effect. At this time it is not known whether the APBA has gathered enough signatures for the referendum; however, APBA representatives are confident the issue will go before voters. If the referendum passes, it will likely delay the implementation of the ban. Clearly the ban is bad news for single-use plastic bag manufacturers, but it seems like it would be a better use of the manufacturer’s time to create durable, reusable bags that did not violate the ban and harm the environment instead of wasting time and money attempting to delay the inevitable. We’ll continue to pay close attention to this story as it develops and bring you updates. 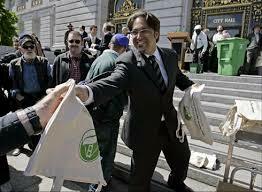 As of right now California’s disposable plastic bag is set to begin in July. Keep up to date with all of the bag bans and fees as well as the failed bag bans worldwide on our Bag Ban Map.